5/5 rating based on 268 reviews. 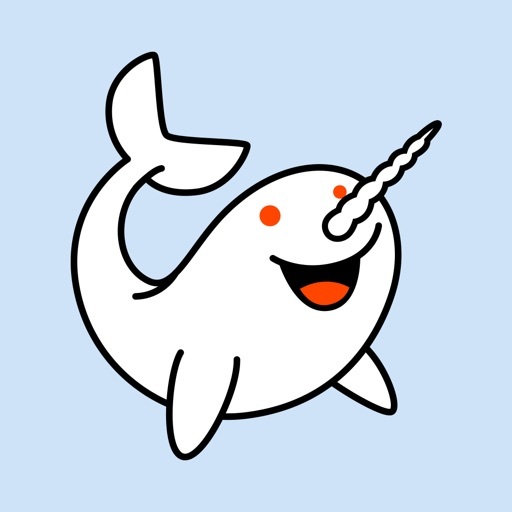 Read all reviews for narwhal for reddit for iPhone. I’ve been using this app to browse reddit for 3 years (ish). I find myself preferring this to the desktop UI. The shortcuts are what make it for me. Swipe left to upvote, right for options, etc. I’ve also seen the integration with YouTube and other external sites improve tremendously. Video playback on small sites is still shaky sometimes, but generally works. The iPad app is even better! You can browse through links on the left side of your monitor and view content in the right. This is the main reason the desktop UI falls short, in my opinion. This is the best reddit app for iOS. Used to be great now it's a laggy mess. It's in usuable right now due to the lag. Every animation in the app has a near second long delay. Moving on to something else until the lag is fixed. For some reason it keeps crashing. Waiting for a fix. Other wise it’s a fantastic app. Once fixed I’ll update my rating. The latest update causes it to crash randomly. I’m sad. Love Narwhal, but this bug is killing me. Every time I open narwhal, it stops my Apple Music every time. I got this app some time ago and love it. Awesome on the mobile and easy to search for things on Reddit would recommend to everyone!